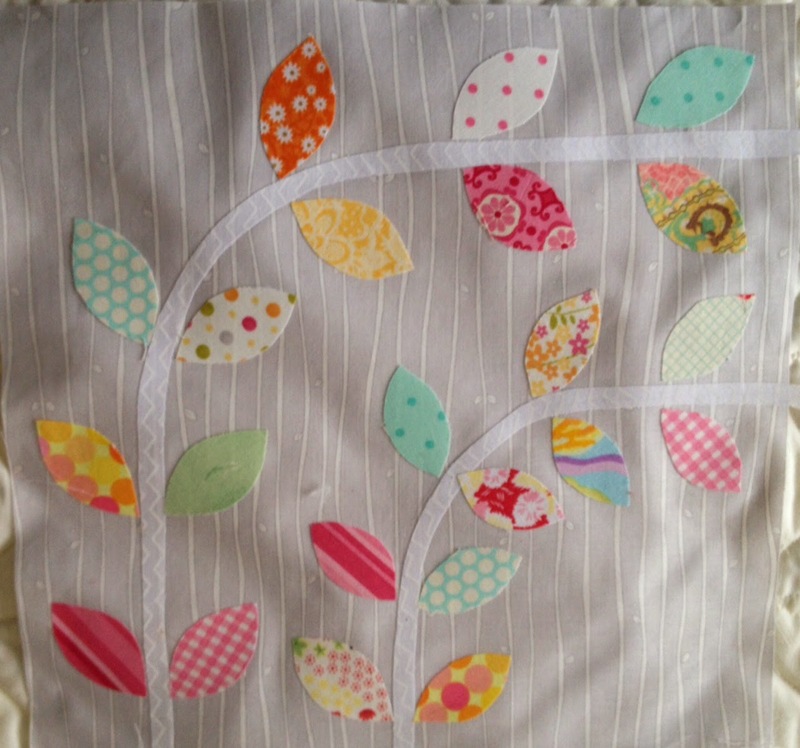 Another quilt has caught my eye on Pinterest but I am running hot and cold on it. One minute I think it's pretty cool and the next notsomuch. It's very sweet and rather pale but that is probably the charm of it. The piece I am fashioning it after is five blocks by five blocks and vines run through on the diagonal - the shorter of the two arcs. I have tried to get a picture of the original but don't know what the heck is wrong. I can copy one but it won't paste into the body of the post. You can see from this picture what I mean about the vine. The blocks are 12 inches so if I do 5 x 5 it will be a 60" square. I think I will go ahead with it--I like the colors and it's something different for me. Today was one of those days when I didn't accomplish much. 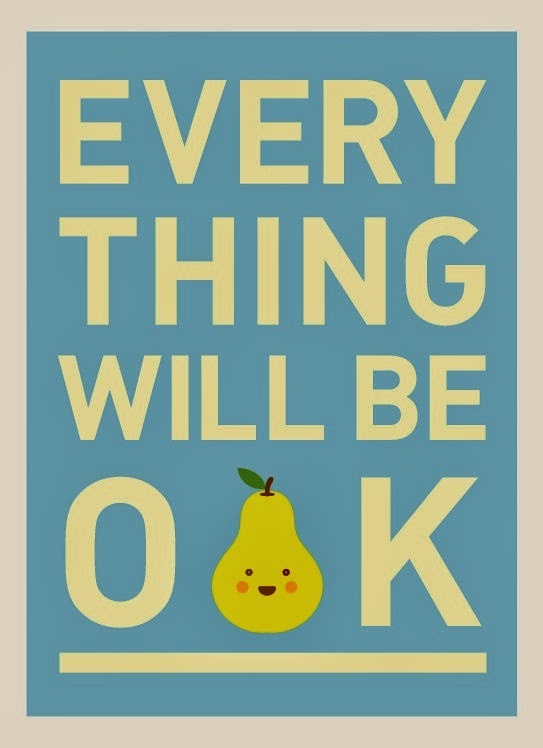 The weather has been dreary and it usually doesn't bother me but sometimes in March I am getting ready for a change. I did accomplish something that I have been putting off and which really needed to be done. Have gathered up and figured out everything to take to my lady to have my income tax done. Guess it's about time for that!! Will go Monday afternoon for the tax figuring. The weather is moderating and the snow melting so one of these days things will start to green up! 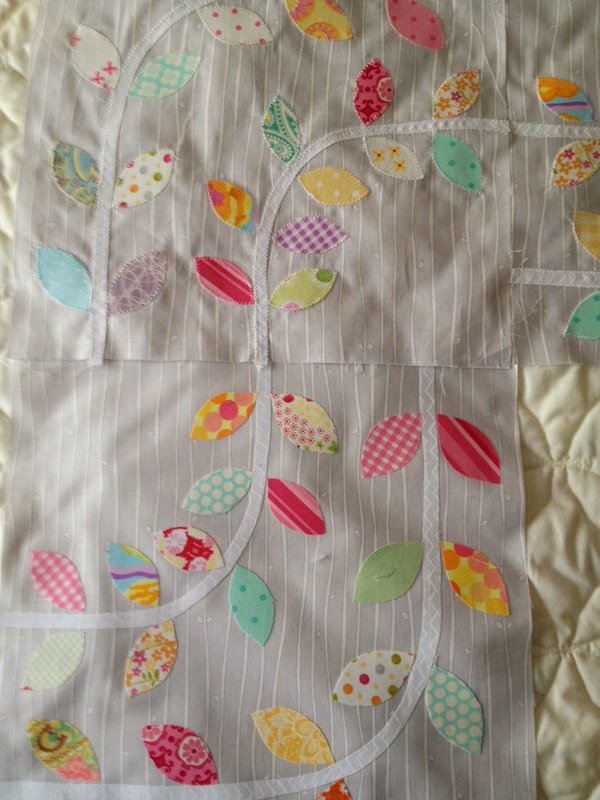 Now I am going to go stitch some more binding on my red dresden plate quilt as I watch an episode or two of House of Cards! That is one good series on Netflix! What a despicable fellow Kevin Spacey plays and his wife is just as bad! 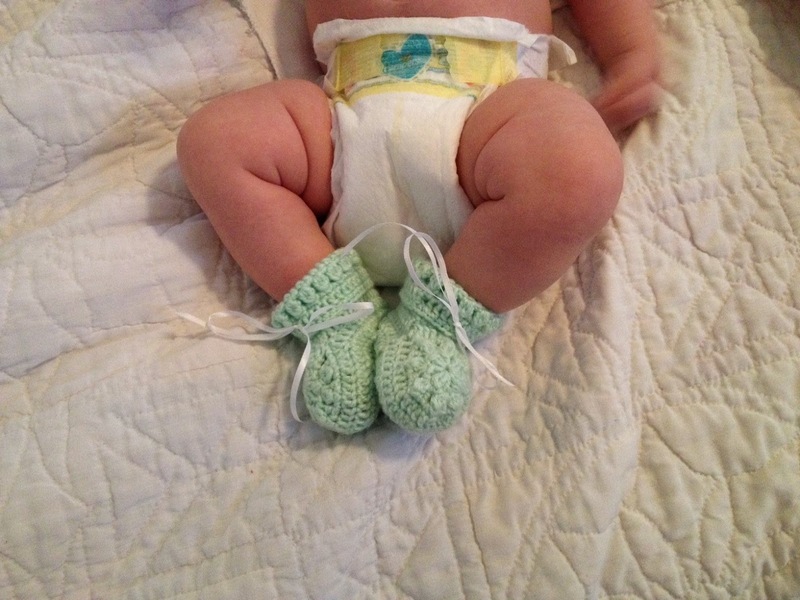 Here is a cute picture Norah sent along recently - is that not the cutest picture of a pair of chubby little legs and cute little crocheted booties? New pictures on the sidebar! Elle and Garrett just got done with the House of Cards series and they said the ending is good. Cool new quilt. I just got to some of the xmas lites that were buried under snow, so the melt down is a sure sign of spring.